Are you suffering with nagging headaches? Do you wake up with them for no apparent reason? Do certain things trigger your headaches now which never did before? 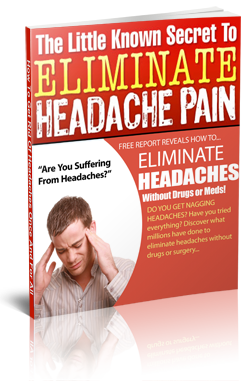 Get the truth about why this is happening and how you may be able to get rid of your headaches once and for all even if you’ve tried everything before! Imagine living pain free. Now you may be able to and stop the suffering….finally getting the most out of life…without medication or any weird remedies! Get your free copy of the special report instantly, plus, qualify for a free “get rid of my headaches!” consultation. Get It Instantly. Just complete the form on this page! © 2019 Mark P. Linn, DC. All Rights Reserved.